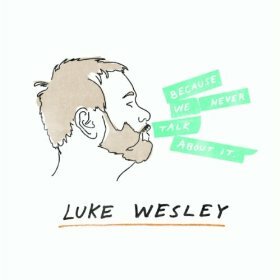 Have no doubt, Wesley is a clever writer who knows how to craft a tune. “Pretty Boy” provides a glimpse into the banality of the everyday, and “Sorry I’m Not Hotter” has some funny lines about how men are also judged on their looks. But for the most part, I spent my listen to this album waiting for something to happen. Every track falls between three and four minutes long, and nothing comes across as all that passionate. The closest Wesley gets to crossing over that line is “Fool’s Gold,” just past the two-minute mark when the music starts to slip away from polished control and the singer’s voice rises beyond its normal range. It’s only a few fleeting seconds though, and then the tempest sinks back into the calm, but unremarkable, water.